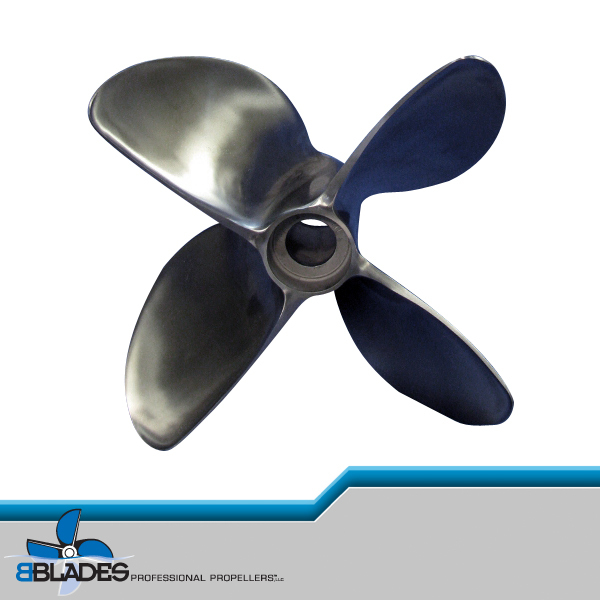 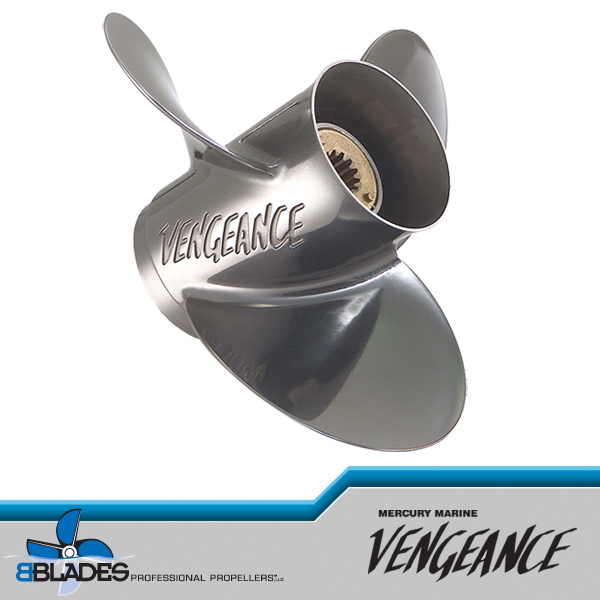 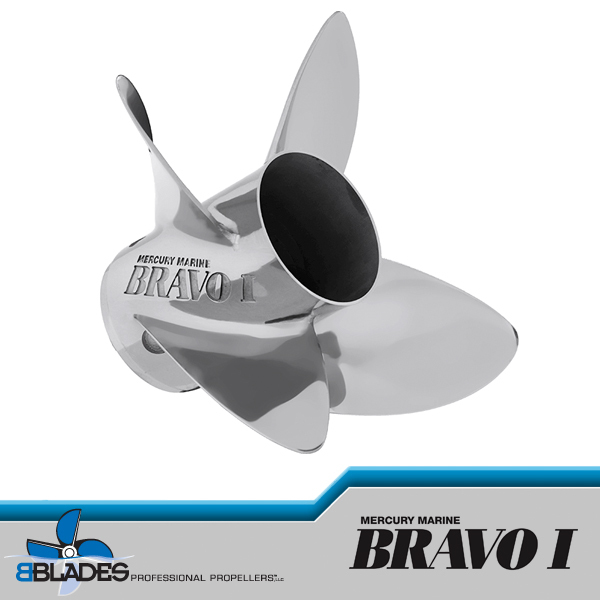 The Mercury Racing Bravo 1 FS Pro Finished propellers are designed for outboard and sterndrive applications. 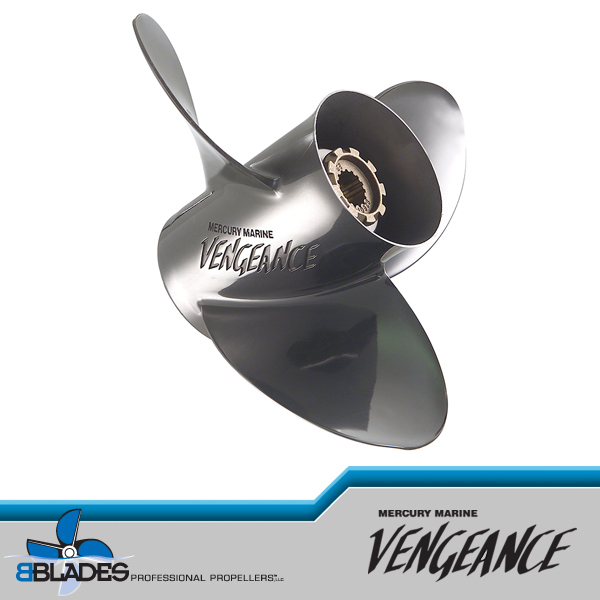 The 4 blades deliver unmatched time-to-plane performance, mid-range punch, delivering fuel sipping economy, and excellent top-end speeds for medium to heavy outboard bass, flats, cat flats, bay boats, center consoles and sterndrive deck and vee bottom boats. 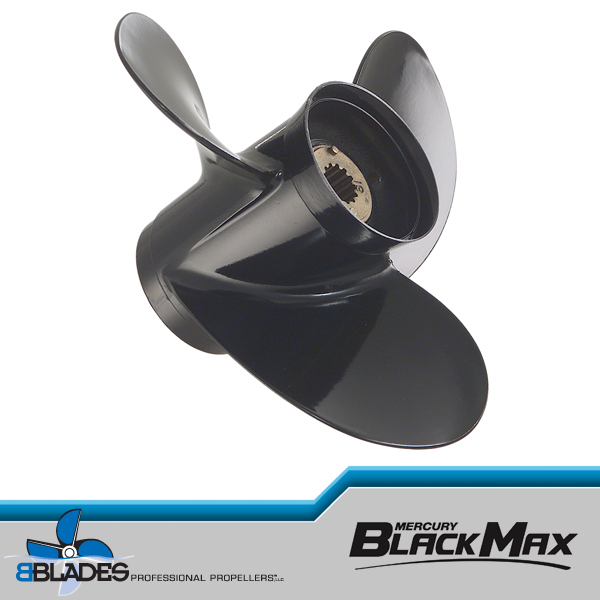 A majority of four stroke outboards and sterndrive applications will use the prop with all four vent holes plugged with solid PVS fittings. 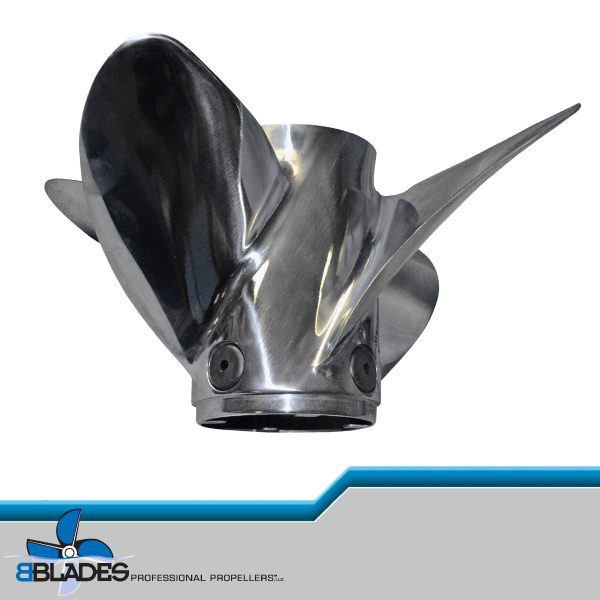 Larger heavier multiple engine applications may benefit by taking one or two fittings out for improved planing. 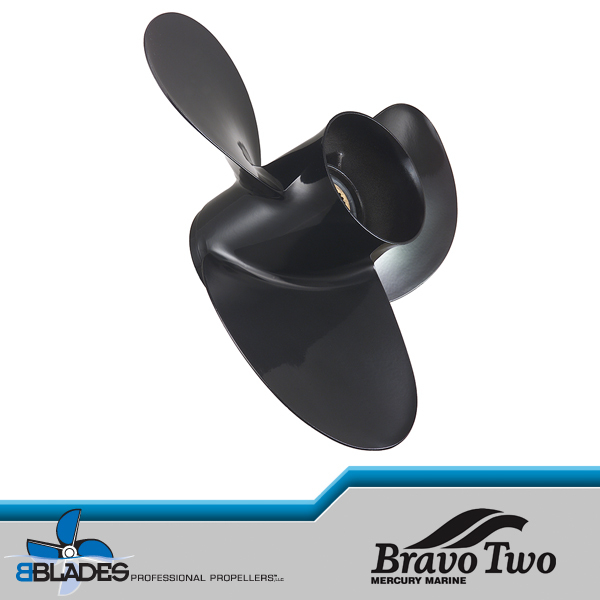 The Bravo IFS may be used with multiple two stroke outboard applications and the 20 and 21 inch pitch can be used with single two stroke rigs with all the PVS fittings removed. 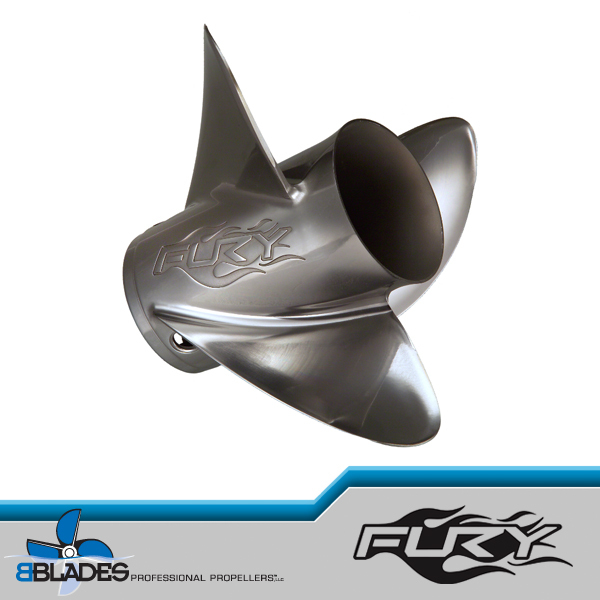 To achieve similar rpm if running a 26 pitch 3 blade, move up one inch to a 27 pitch Bravo 1 FS, if replacing the Fury or Revolution 4 move up 2 inches of pitch. 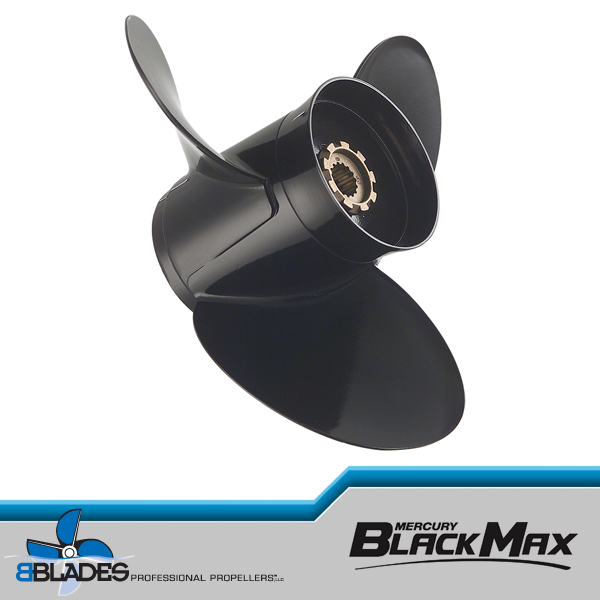 Hub kit sold separately; 835257K6 or 835258K2 for 1 inch or 840389K06 for 1.25 inch propshaft.